Having bed bugs can severely damage your business’s reputation. In this day and age, if you have bed bugs in your hotel, motel, apartment, college dorm, senior living facility, or other business where people lodge, and you don’t take the proper action to exterminate them, don’t be surprised if you become the next news story on social media. People won’t think twice about posting photos of their unpleasant bed bug bites and tying them to your name. So, what do you do if you are informed by a guest or resident that you have bed bugs? First, before you panic and start Googling the best way to get rid of bedbugs, take care of your guest. 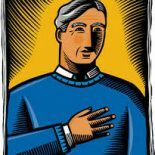 Apologize, offer them a new room, comp their stay, do something to show them that you care and are sorry for the inconvenience you have caused them. The more you take care of your guest, the less likely you will get blown up on social media, and you just might be able to turn the negative situation into a positive one. Bed bugs cause a lot of emotional distress for individuals who have been invaded by them. Once your guest is taken care of, don’t panic, jump into action and exterminate your unwanted pests with heat — the best way to get rid of bed bugs. Why is heat the best way to get rid of bed bugs? If you’ve done a simple Google search to learn how to get rid of bed bugs, we’re sure you’ve come across numerous remedies that involve DIY sprays, harsh chemicals, paper towel traps, doing loads of laundry, checking and rechecking for bed bugs, etc. While these blogs are titled as, “Easy Ways To Get Rid Of Bed Bugs,” you can see these easy solutions may not be as effortless or permanent as the title portrays. As a business owner, you don’t have the time to deal with chemicals or traps that don’t work the first time, nor do you want to take the financial hit from closed rooms. 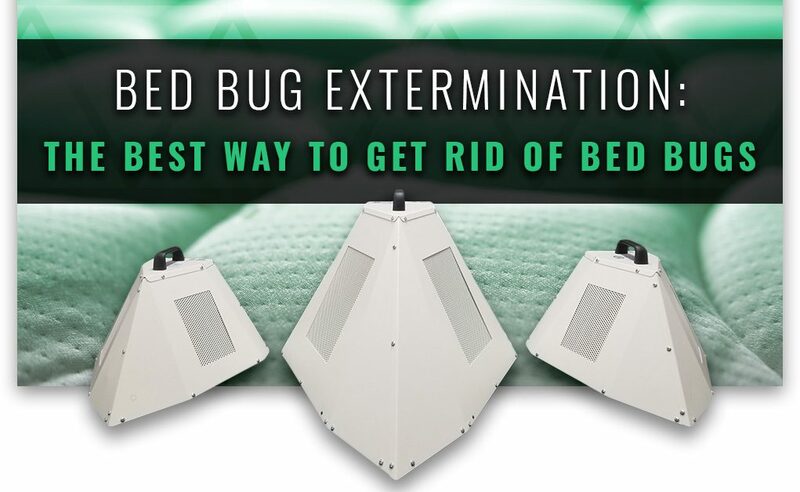 Fortunately, we’ve got the solution to permanently get rid of bed bugs in one treatment thanks to our Top Rated Local ® commercial bed bug heater. How does heat kill bed bugs? Just like there are lethal temperatures for humans, there are lethal temperatures for bed bugs. On average, the lethal temperature for bed bugs is 119 degrees fahrenheit. Our commercial bed bug heaters get to 121 degrees fahrenheit to ensure bed bugs at all stages of life are killed. What are the benefits of our commercial bed bug heaters? Ultimately, when you have a bed bug infestation, you must close the infested room(s) until the bed bugs are exterminated. Our commercial bed bug heaters typically kill all bed bugs in one treatment, so in as little as one day you can have your room back up and running — saving you time and money! Is there anything worse than having a pest control vehicle outside of your business? Eww. None of your guests want to see that. When it comes to bed bugs, it’s best to keep your infestation as discreet as possible while you exterminate them. 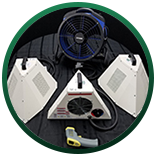 Our bed bug heaters are easy to operate and transport, so they can be set up by any one of your trained staff members. Unfortunately, no one is safe from bed bugs returning— even after completely exterminating them. Bed bugs are the world’s best hitchhikers and can sneak into any crack or crevice, call a new place home, and spread like wildfire. That being said, these uninvited visitors can show up again at any given time via a guest’s suitcase, purse, or briefcase. With one of our commercial bed bug heaters, you will always be prepared to send these pesty creatures packin’ permanently. As an added bonus, our heaters can also be used to mitigate flood or mold damage or for other heating and drying jobs. You’ll not only be prepared for a bed bug infestation, but you’ll also be prepared in the event your business floods, or you’d like to speed up the drying process of a freshly painted room — there are so many useful purposes for a high-quality, lightweight heater. Stop wasting time and money on bed bug remedies that don’t work. 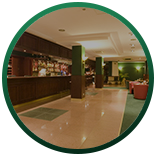 With one of our commercial bed bug packages you can quickly fix your bed bug problem in as little as one day and one treatment, so you can get back to running your business as usual. Learn more about our commercial bed bug heaters or contact us today to speak with a Colorado Tri-Flo Systems representative. We look forward to helping you get rid of your bed bugs for good.